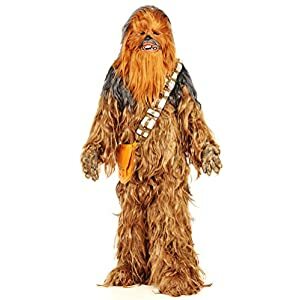 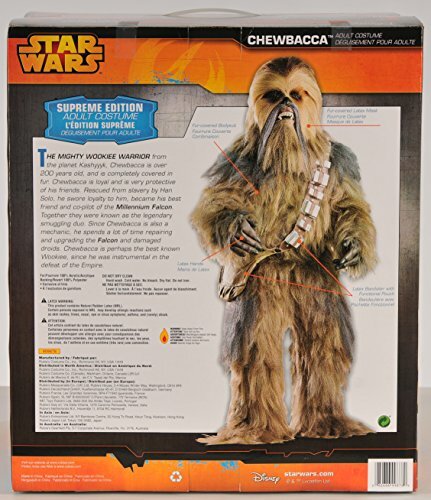 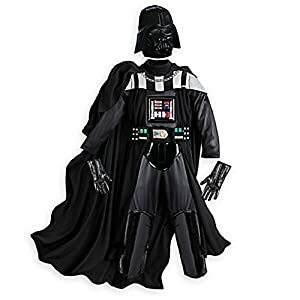 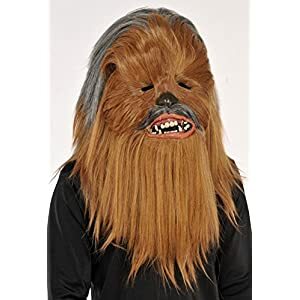 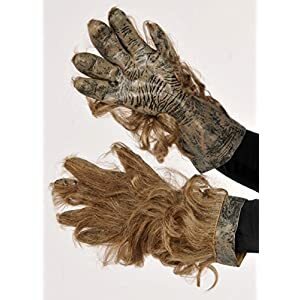 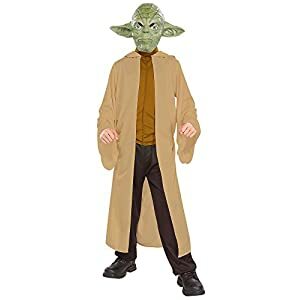 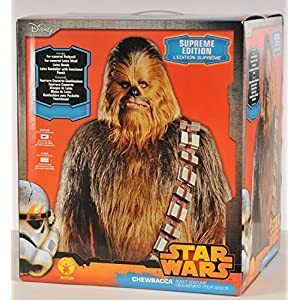 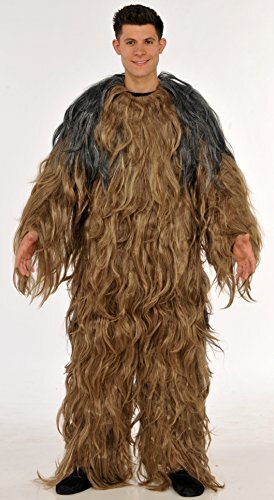 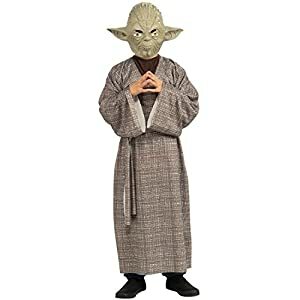 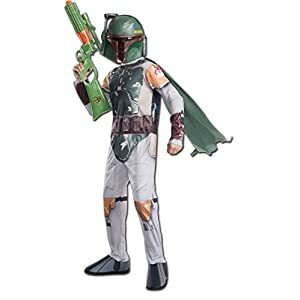 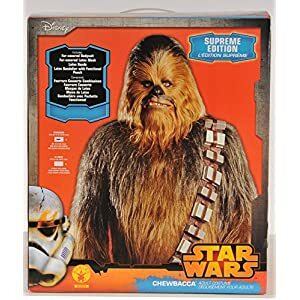 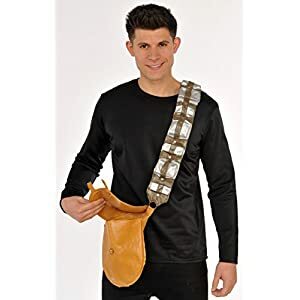 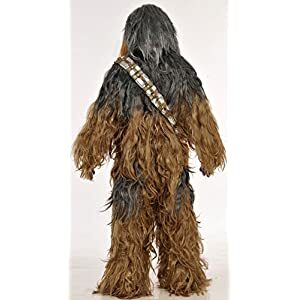 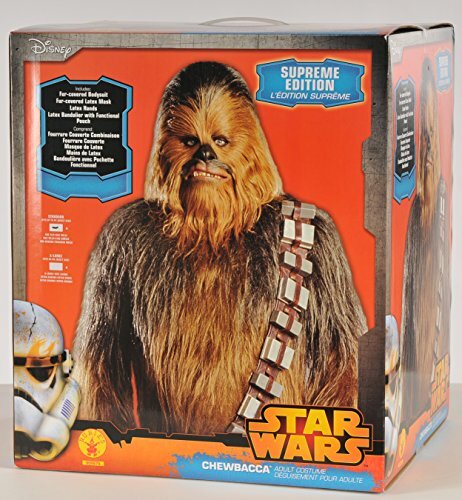 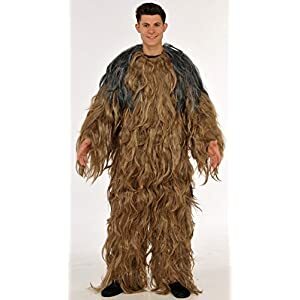 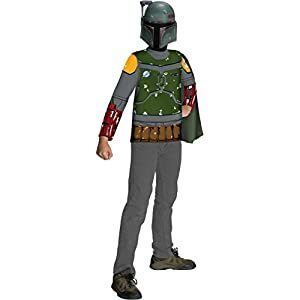 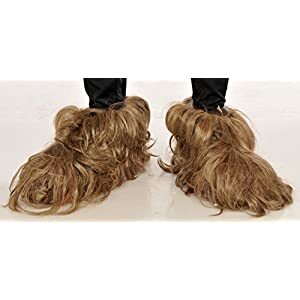 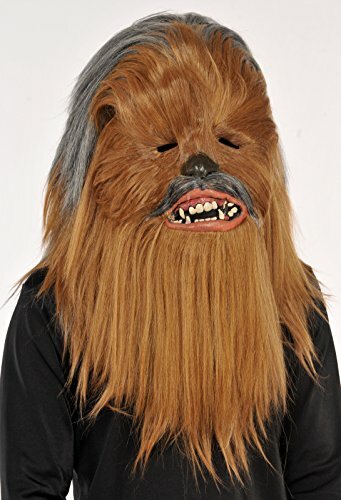 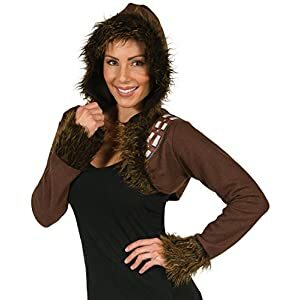 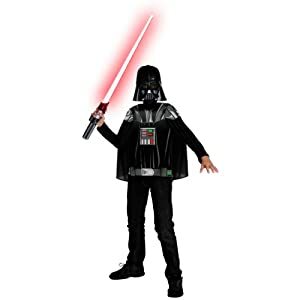 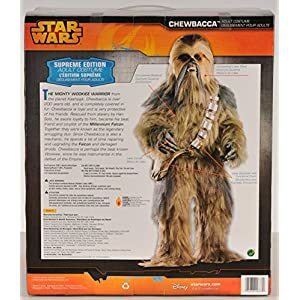 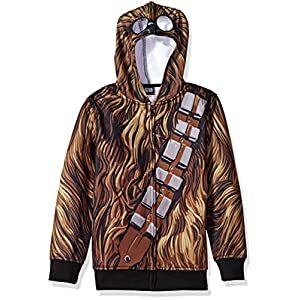 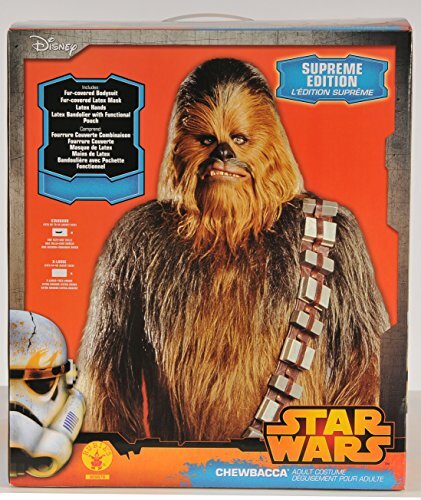 The Chewbacca Super Edition Costume is a 5 piece set featuring a bodysuit, a mask, a pair of latex hands, a sash and a pouch. 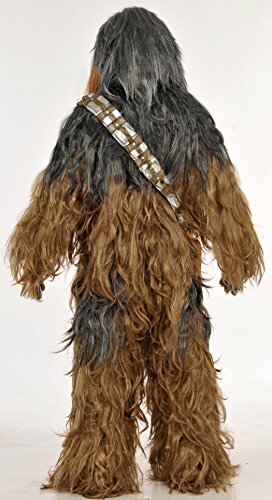 This brown fur bodysuit and mask both have matching layered multicolored long hair fur. 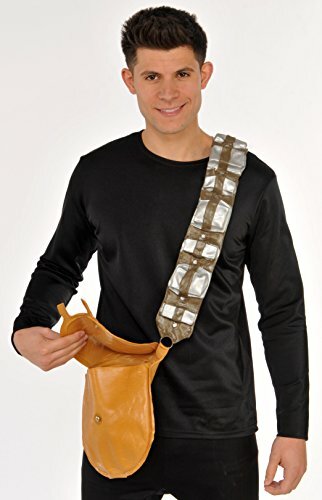 Also included is a pair of latex hands, a sash, and a pouch. 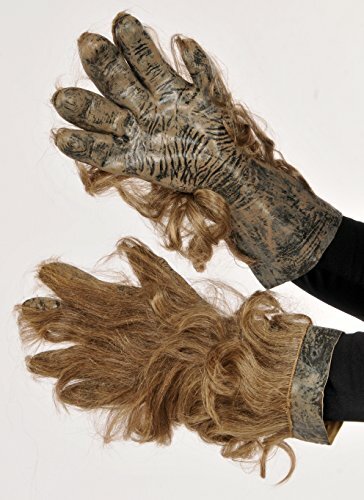 An Immense, Fur Covered Warrior Of Great Strength And Loyalty.